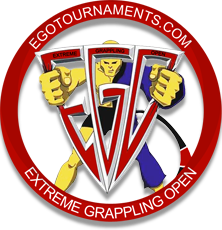 The Extreme Grappling Open (EGO) started as a simple project: to put together an effectively run, organized, fair and affordable tournament. Offering Gi and No-Gi divisions for Children through adult, both male and female. It is also the host of some of the most intense Invite-Only Divisions you will see anywhere!